How much do South Africa's 35 ministers and 37 deputy ministers cost the taxpayer every year? AFRICA CHECK took a look. Researched by Kate Wilkinson. Africa Check is a non-profit fact-checking website. Follow them at @AfricaCheck. When President Jacob Zuma’s announced his new cabinet in May it was described as bloated, a monster and a waste of money. The Economic Freedom Fighters (EFF) party calculated that South Africa’s 35 ministers and 37 deputy ministers would cost taxpayers R720 million per year – or in the exaggeration of political speak, “almost a billion”. Cabinet members. Despite the recommendation of the Independent Commission for the Remuneration of Public Office Bearers that any government official whose annual salary package exceeds R1-million should not receive an increase for 2013/14, Zuma afforded ministers and deputy ministers 5% a hike. The prez and his deputy. The commission recommended that the deputy president’s salary should remain at R2,360,360 for 2013/14. 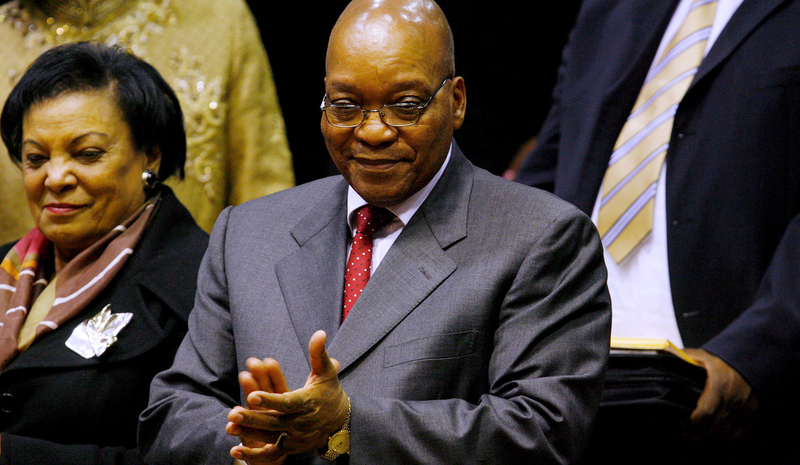 But Zuma also granted his deputy a 5% increase, taking his salary to R2,478,378. The president does not have a say in his own salary – the commission’s recommendations are debated in parliament and then submitted to a vote. However at the end of 2013, Zuma announced that he had declined a salary increase for the 2013/14 financial year, keeping it at R2,622,561. The total in cabinet salaries for 2013/14 therefore came to R143,021,079. Private cars. Members of cabinet get 25% of their salary towards a private vehicle, its running and maintenance as well as comprehensive insurance. At an allowance of just more than R650,000 for Zuma, the president will be able to buy a sporty Mercedes-Benz SLK Roadster or a BMW 4 Series Convertible. But should he require higher clearance to reach his country home in Nkandla, a Land Rover Range Rover Evoque Si4 Pure also fits the budget. Members receive this allowance whether or not they buy a car for themselves, burning up an additional R35,755,270 of taxpayers’ money at the latest salary determinations. Official vehicles. Ministers and deputy ministers are allowed to purchase one car for official use in Pretoria as well as one in Cape Town. Official vehicles can be replaced as soon as they have reached 120,000 km or have been in use for 5 years. Incoming Finance Minister Nhlanhla Nene opted to continue using the R550 000 Nissan Pathfinder he had as deputy minister and urged fellow cabinet members to apply moderation in their choice of vehicles. Cabinet members are allowed to use official vehicles “for any reasonable purpose”, including taking their kids to school. Accommodation. Cabinet members can live free of charge in one stated-owned residence in the capital of their choice. If they want to move into a second state-owned house for official purposes they must pay a “market related” rent. There is even a formula provided in the handbook to calculate this: (Salary) x 1% divided by 12. So R2,106,607 per minister x 1% (21,066) / 12 = R1,756 per month, a sum for which an ordinary South African can rent a backyard flat in Athlone (but you “need 2 make ur own kitchen”) or, for R100 more, share a house in Pretoria West. Travel. Cabinet members and their spouses may book first class tickets for official international journeys. (Note: Gordhan announced that cabinet members had to fly business class internationally, but again it is unclear whether it is being applied.) They are also both entitled to 30 single business class flights per year within South Africa. Dependent children get six single economy class flights per year. If the cabinet member is not for flying, the handbook allows for them to travel by train – including South Africa’s luxury Blue Train. Rates for the Pretoria/Cape Town route range from R 15,465 to R 25,545 one way. Other expenses. According to the Ministerial Handbook a cabinet members’ department can pay for all “reasonable” out-of-pocket expenses (“including gratuities and reading material, but excluding alcoholic beverages not consumed with a meal”) connected with the subsistence of the members, their spouses as well as family members who need to accompany them when travelling. Because of all the variables and unknowns it is impossible to predict what the new cabinet will cost South Africans beyond the members’ salaries and their private car allowances. As if cabinet members’ do not have enough scope in complying with the handbook, it is unclear which regulations they are supposed to follow at the moment. As far as Africa Check could establish, it currently sits awkwardly between the 2007 version of the Ministerial Handbook, cost cutting measures announced in 2013 and a looming amendment of the handbook. Last year then Minister in the Presidency Collins Chabane said that amendments to the Handbook and Gordhan’s cost cutting measures would be aligned for consistency. Photo: South Africa’s ruling African National Congress (ANC) president Jacob Zuma applauds from the gallery during a special sitting of the country’s Parliament to elect a new President at the National Assembly in Cape Town, South Africa, 25 September 2008. EPA/GIANLUIGI GUERCIA/POOL.